"I have a few questions for you." Contains spoilers for Westworld Season 2 finale, The Passenger. Westworld's second season has wrapped up in typically brain melting fashion, with a finale that killed characters off, brought them back to life, and revealed potentially multiple people to be hosts. While the episode proper ended with Dolores heading off into the real world, there was - like in Season 1 - a stinger after the credits had rolled. Last time it was merely a shot of Armistice, which although teasing was mostly having a bit of fun. This time, though, things are much more important and serious. We pick up with William, aka the Man in Black, who was conspicuously absent from most of the episode. Earlier we'd seen him enter an elevator and expected him to come face-to-face with Bernard, but instead we learn here that he's now in a different timeline. 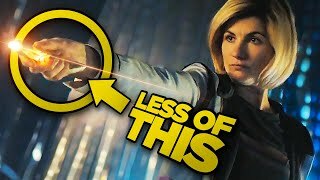 Instead of finding Bernard in the Forge, he comes across a place that's deserted and dilapidated, except for one very familiar face: his daughter, Emily, who he killed in episode 9. William assumes this is a simulation that he's inside of, but Emily assures him "This is your world - or what's left of it." William is then led into a space that's a near copy of the one we saw James Delos tested by William himself, where Emily begins to ask him a few questions. "It's been a long time," she says. "Longer than we thought. I have a few questions for you. The last steps of a baseline interview to allow us to verify." Emily's response is a word we've heard a lot of this season: "Fidelity." One popular theory that's emerged this year is that William has been a host all along, but that isn't what we're seeing here. Everything we've seen before now with William has shown him as a human, except for this stinger which is set far, far into the future, in a third timeline. So far, in fact, that Emily is long gone and replaced by a host, and William himself is now a host/human hybrid similar to Delos, contained in his own loop. Except this is one of his own making, and linked to the shortcomings of his old partner. Earlier in the episode, Logan revealed that James Delos kept on coming back to the same point: his son's final words before dying. He failed his child, and so too the Man in Black failed his, and is destined to keep on repeating the same mistake. Except for William, that's not an option. This, it seems, is his new challenge, and the hardest yet. To prove that humans do have free will; that his life isn't pre-ordained, and that he is capable of change. William doesn't have to travel the Maze, find the Door, or go up against Robert Ford - he has to beat himself. So far, it seems, he's failed time and again. What did you think of the Westworld Season 2 finale? Let us know down in the comments. 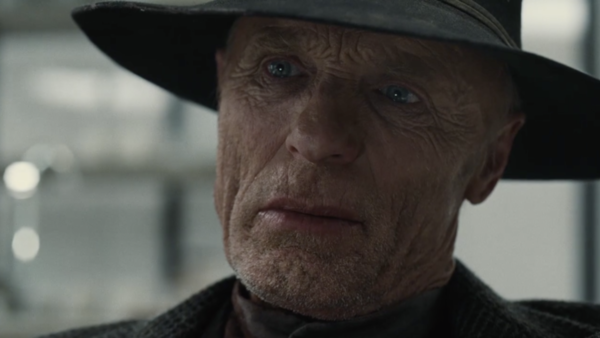 Read Next: Westworld Season 2 Finale: What Does The Ending Really Mean?